Getting poetry published in a literary journal or magazine can be tough. It can feel even more difficult than seeking publication for fiction, as there tend to be fewer opportunities available for poets. But getting your poetry published is not impossible! If you take the right approach with the preparation and submissions process, you're much more likely to find a (paying) home for your poetry. 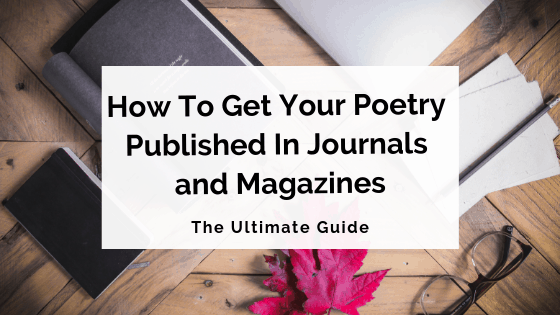 To this end, we've put together an in-depth set of guidelines and tips on how to get your poetry published. Seeking out opportunities, refining your poems for submission, keeping track of your progress – it's all covered here. So read on, and get ready to become a published poet. Our first recommendation for those seeking to get poetry published is to read, read, read. Yes, you've probably heard us doling out this piece of advice many times before – but for good reason! As the prolific Stephen King once said: 'If you don't have time to read, you don't have the time (or the tools) to write'. King might have been talking about fiction writing, but the same sentiment applies to poetry. There's no getting around the fact that if you want to be published in literary magazines and journals, you must read literary magazines and journals. In particular, you should be seeking out online and print magazines with prominent poetry sections, as well as publications dedicated entirely to poetry. Reading extensively will give you an idea of the kinds of poetry currently being published in different markets. You'll have a better idea of the styles that are most widely accepted and the quality that is sought after by editors. In addition, you can use your reading and research to identify niche markets into which your poetry might best fit (more on this below). 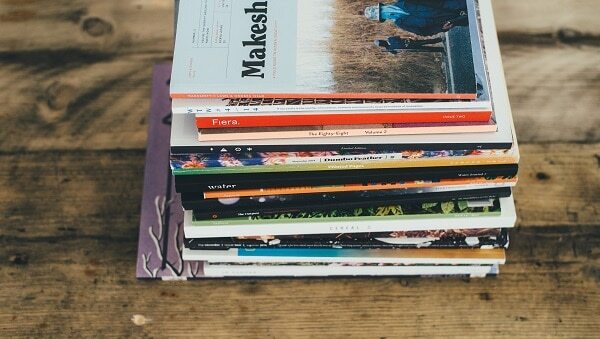 Importantly, purchasing and reading literary journals and magazines also enables you to support the industry and help keep these publications running. It's a sad truth that lit-fic and poetry publications are often direly underfunded. And when it comes down to it, the less places there are for you to submit, the less chances you have of getting your poetry published. Finally: remember that no matter what kind of writer you are, reading the work of others can always help you get inspired and improve your own craft. By studying and analysing published poems that you like, or that are similar to your style, you can learn what works best in each poem, and how to incorporate similar techniques into your own work. This next step overlaps somewhat with Step 1. Reading various poetry publications will help you get started on the research aspect of the submissions process. In your reading, you will hopefully come across a number of places in which you can envision your own poetry being published. And we don't just mean 'envision' as in 'dream/wish your poems would be published here'; we mean that you're able to picture your work fitting in perfectly with that publication's style or direction. If you write within a particular genre or style of poetry, it's best to prioritise submitting to publications that cater to your specific niche. This will give you a better chance of acceptance than if you only target places that publish a wider or more general range of works. The same advice applies to specific calls for submissions, which are often themed. These kinds of call-outs involve a journal or magazine producing an issue in which all pieces revolve around a particular topic, word or theme. Writers are invited to submit works that fit or are inspired by the theme. Poetry anthologies – collections of poems from different writers, usually published by small presses – are also largely based around themes. It's worth keeping an eye out for anthology calls for submissions as well. When responding to any themed call for submissions, you have two options: writing an entirely new poem or set of poems that address the theme, or reworking something you've already written that might be a good fit. We'll talk further about this in Step 3 below. In addition to specific calls for submissions, many journals and magazines are open to general submissions through set periods throughout the year (often called 'reading periods'). Poets & Writers keeps a large database of literary magazines open to submissions. You can filter the list to include only magazines that accept poetry, and browse from there. New Pages publishes regularly updated Calls for Submissions – again, you can use the 'poetry' filter here to see a collection of recent opportunities for publication. The Review Review provides a list of literary magazines that can be filtered for those that accept poetry. Duotrope is a paid service offering a database of literary markets, as well as other helpful features like a submission tracker and deadline calendar. You can complete a free trial to try out its features before committing to a subscription. Once you've found a few places you think your work might fit, it's time to take a closer look at the submission process for each one. Note the date that submissions close for each publication you'd like to submit to. This is obviously an important detail. If you don't make the deadline, you'll often have to wait a while for that publication to open back up to submissions. You don't want to miss your chance! It's helpful to keep a calendar noting down key submission deadlines to help keep you on track in your quest for publication. Another important detail to note is whether each publication considers simultaneous submissions or not. A simultaneous submission refers to a poem or set of poems that is under consideration by more than one publication at a given time. Many journals and magazines do not accept simultaneous submissions. Reading and sorting through submissions takes a great deal of time and effort; understandably, most editors would rather not waste time reading work that might have already been accepted by another publication (which, of course, means they couldn't publish it themselves). Do yourself and the places you're submitting to a favour, and abide by their rules regarding simultaneous submissions. It might be tempting to ignore them in order to expand a particular poem's chance at being published, but in the long run, you won't actually be expanding your chances at all. This strategy is much more likely to hinder than benefit you. You should also make note of whether publication opportunities are paid or unpaid. We believe all writers should be paid for their work; however, some smaller and/or free literary journals and magazines that operate only on a volunteer basis won't be able to offer payment for publication (or may only offer compensation in the form of copies of the volume in which your submission is featured). It's entirely up to you to decide whether to only submit to publications that offer payment, or whether to submit to all avenues regardless of whether or not they pay. The latter might be your preferred option when just starting out, but in the long run, if your goal is to get paid for your work, you should prioritise submissions to places that pay. While we're talking money: remember that in most cases, submitting your work should not cost you a cent. Some publications charge a reading fee, but be sure to do your research into these particular avenues to ensure they are legitimate and that the reading fee isn't extravagant or unwarranted. In addition to the above databases and your own reading and research, don't forget to check other places for information on publication opportunities. You might also want to join writing/poetry groups on Facebook, and 'like' the pages of your favourite literary publications to keep an eye out for updates and reminders about submission openings. Now it's time to get down to the nitty-gritty: getting your poems ready to be submitted. Here we'll talk about writing new poems and revisiting previously written works, and the process you should follow to prepare your poetry and give it the best chance at being accepted by publications. Note: it's wise to have a good collection of poems on hand for potential submission, rather than just a select handful. In the case of submitting to literary magazines and journals, the more poems you have ready to submit, the better (provided they're all of good quality, of course). Since you'll often be submitting multiple poems at a time to publications that might not accept simultaneous submissions, it can be helpful to have others on hand so you can keep that momentum rolling. Rather than having to wait around to hear back from just one publication (which can often take a while), having several different sets of poems ready to be submitted means you can keep a few balls in the air at once – effectively giving you better overall odds at being published. Let's dive into the preparation process! As we mentioned above, if you've chosen to answer a call for submissions that has a particular theme, you might like to write a specific poem or poems to fit that theme. Alternatively, you might have previously composed poems that already fit that theme, or can be shaped and reworked to do so. The same goes for general submissions with no theme. If you're feeling inspired to write a new poem for a particular publication, go for it; if you just want to polish up some old pieces for submission, that's a great option too. Whatever you choose, remember to always stay true to yourself as a poet. If you're trying to write poetry in a style you don't really like, or on a theme that doesn't resonate with you, this is likely to come across in the writing. We're all for challenging yourself and branching out into new topics and styles – but don't do this solely for the sake of meeting a call for submissions. Your time is better spent writing in the style you love, or refining poems you've already written, and finding the right home for them. 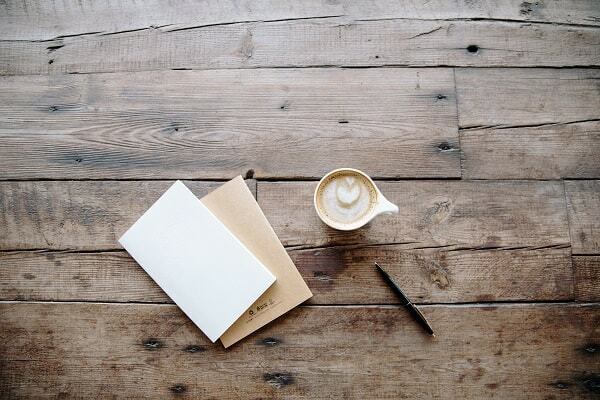 Once you've written or polished up some poems for submission, we strongly recommend sharing them with other writers who can provide feedback and suggestions for improvement. 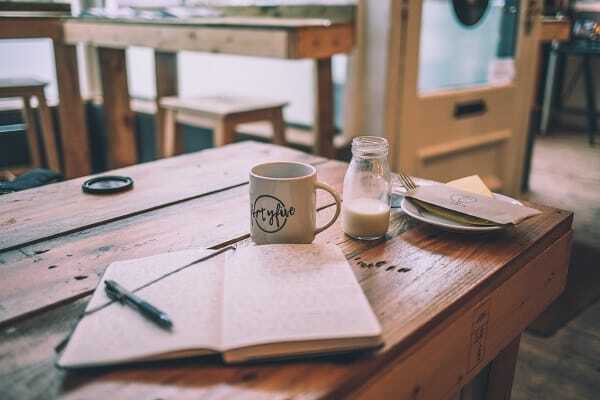 Aside from being an excellent way to improve your craft, workshopping your poetry can help you ensure your work is in the best possible shape – and therefore has the best possible chance at publication. You will need to edit your poems yourself, of course (more on that below), but before you do, it's really valuable to get another set of eyes on your work. To do this, you might like to reach out to fellow writer friends or acquaintances to ask for their feedback on your poems. Remember to return the favour by offering to critique or workshop their writing yourself in future. You might also like to join a local writers' group (particularly one that specialises in poetry), or seek out feedback online on sites like PigPenPoetry, AllPoetry and similar. A quick note: when we recommend that you share your poetry, we would advise you to be careful when publishing work on a personal poetry blog, discussion forum or other similar online publication. Poetry journals and magazines usually only accept submissions that have not been previously published, and many count blogs or other websites as publication. So even if you're just posting to a website or forum that invites you to publish your poetry to gain feedback, you could risk the work being considered 'previously published'. Once you've workshopped your poem/s with others, it's time to undertake your own editorial process. This will involve implementing the feedback you've been given through critiques/workshopping, as well as proofreading and polishing up your work until it's of submission-worthy quality. It almost goes without saying, but be sure that your poems don't contain any typos or formatting errors. Things like punctuation and line breaks are often used to important effect in poetry, so you want to be sure these elements are all exactly as you intend them before you submit your work. Many avenues only accept a limited number of poems at a time (usually three to five). So when your poems are edited and polished to perfection, it's time to choose which ones are the strongest – i.e. which have the best chance at being accepted for publication. This can be a tricky part of the process, and one in which you will likely benefit from others' feedback. It's easy to get too close to your work and submit the poems you personally like the best, rather than those that are most likely to be accepted. Keep in mind what we discussed back in Step 2 – targeting publications to which your work is best suited. Look back at the types of poems previously chosen for each publication and base your selection on those. Remember that any poems you don't submit to one publication, you can always submit to another to which they might be better suited. So you've polished your poems. You've decided which ones you're going to submit, and where. Now it's time for the moment you've been waiting for: hitting 'submit' and sending your work out into the world! All literary magazines or journals will have a set of submission guidelines or instructions for those submitting their work. You'll need to follow these to the letter in order for your poem to have the best shot at being considered. Note: if no formatting guidelines are provided, format your work as simply and professionally as you can. A 12-point basic font like Times New Roman is recommended. We can't stress enough how important it is to abide precisely by submission guidelines. After all, what's the use of writing an amazing poem only to have it ignored because you didn't follow the instructions? After you've hit send, the first thing you should do is congratulate yourself. It's no easy thing to put yourself and your poetry out there. But you've done it – you've taken that first step towards publication! Unfortunately, now it's time to wait. Be aware: the submissions process involves a lot of waiting. It can be tempting to stay glued to your emails, keeping an eye out for that acceptance or rejection – but sadly, this won't make the responses come in any faster. There are a few things you can do while waiting. Keep writing, for one. The more poems you write, the more things you'll have to submit, and the more chances you'll have at publication. After you've begun submitting, we also recommend setting up a spreadsheet to keep track of your submissions to different publications. This makes it easier to stay organised and aware of what stage all your submissions are at. *A note on querying: many publications will advise on their expected response times. If you haven't received an update on your submission after this time, you might want to send a polite, brief follow-up query. We advise waiting at least three months before following up if a publication doesn't specify how long to wait before querying a submission. If the publication your poems are currently sitting with isn't intending to publish them, following up with a query can help you confirm that it's OK to resubmit those particular poems elsewhere. Our final piece of advice is one that every poet, every writer, every creative person needs to hear. If your work is rejected – and the likelihood is that it will be, at least once – try your best not to take it to heart. If a submission is unsuccessful, don't take it personally. Receiving a rejection doesn't mean your work isn't valid. It doesn't mean you're a bad poet, or that you're never going to be published. Perhaps your submission just wasn't what that particular journal or magazine was looking for right now. Perhaps your poem just needed that little bit of extra workshopping. Perhaps the style or subject matter you've been working with isn't quite right for you as a poet. No matter what the reason, remember that this process has all been part of a learning experience, and will ultimately help you become a better writer. This part is so important that it needs its own section. No matter how many rejections you receive, no matter how endless and arduous the journey to publication might feel – hang in there. Keep submitting until your work finds a home. And even after that, keep submitting some more. If you're interested in submitting fiction as well, don't forget to check out these tips for entering manuscript prizes and our video on submitting your novel to publishers. The above article, "How To Get Your Poetry Published In Journals and Magazines" was written by Claire Bradshaw, and was inspired by the below article. Getting exposure as a poet, and getting paid for your work, can be a more difficult task than finding opportunities for fiction. Below but a few of the social media outlets and platforms one should have a foothold in and experiment with if they wish to get their poetry read. 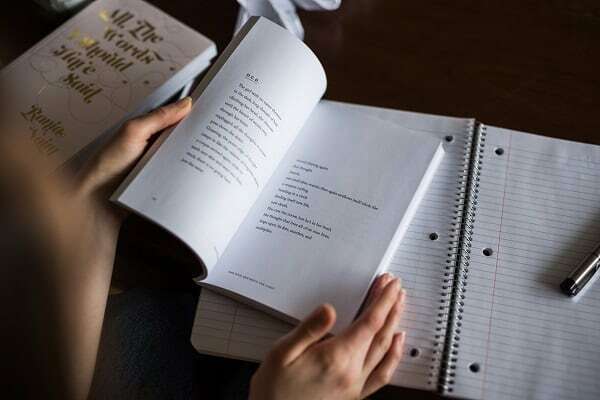 These platforms allow writers the opportunity to publish poems and excerpts of their work to build both a name for themselves and to gauge readers' interests. Whether or not you find it frustrating or liberating, learning the ins and outs of social media networking, trending, and connecting is an absolute must in today’s day and age. It has priceless benefits, including the possibility of commenting on others’ and your own work, building artist relationships, and finding new material to inspire and influence your own. Choosing the right hashtags can help authors find exposure among other authors and readers alike. For example, simple hashtags like #poetry and #poem will work, but being more specific is important as well. If the poem is about gender equality, #feminism or #genderequality are a good idea. You might also want to sneak in a hashtag relevant to a contemporary story gaining media attention for its controversy or impact, such as #emmawatsonUN, for example. These platforms allow for a broad range of creative control. You can change the layout and aesthetic of your page with widgets and pre-made designs, to suit the type of author you want to be and work you want to create. Forming a unique identity helps to stand out and get noticed, which is especially true on blog platforms like Tumblr and WordPress. Starting a YouTube channel is an extremely popular way of getting your poetry heard – numerous poets have made themselves famous through YouTube, and the comment and like/dislike section is excellent for feedback. One such spoken word poet is Savannah Brown, who touches on gender equality issues through her passionate slam prose. Besides blogs and social media sources, there are numerous forums dedicated to poetry and words on the web. Some of the more popular websites include Pig Pen Poetry, The Poet Sanctuary, and All Poetry. Websites with alternative or subculture-focused user bases often contain poetry and word message boards where users can submit their work and receive constructive feedback with editing and commenting capabilities. One such example is the extremely popular drug harm reduction website Bluelight, which has a forum called 'Words'. There are numerous competitions and open-mic events held on both local and national/international scales around the country. One of the most popular poetry slams in Australia is the Australian Poetry Slam (APS). Tryouts are held in urban and regional centres throughout the country, and it's easy to find your closest audition location and date. On the first Tuesday of every month in Sydney, there’s a poetry night at the Red Rattler Theatre in Marrickville, called Word in Hand. The event has been run for over a decade and is an opportunity to hear some of Australia’s best (and less well-known) poets perform. These kinds of events are designed to give both start-up and established poets an opportunity to both listen to and have their work heard. They are great places to gain both confidence and constructive feedback from like-minded people, and great places to expand one’s network in the poetic community, face-to-face on a personal basis. Ebooks and digital publishing are two areas that are becoming increasingly important to utilise and understand in our technologically driven world. Within the ebook world are two common formats: epub and mobi files. These are simply two different types of software you can use to convert your manuscript. Online Convert can help you change PDF files into the epub format, while mobi files are simply another software format, created by software company Mobipocket, which can be used to do the same thing. Createspace is a company owned by Amazon which can help you complete your work and make it accessible to potential readers. There are both free and paid services and tools, including KDP (Kindle Direct Publishing). No matter which route you take, unless your work is picked up by a publisher and they offer to do it for you, you are still ultimately going to be responsible for your own marketing. Createspace helps, offering free advice for marketing, editing and publishing, as well as the opportunity to pay for professional consultation. Self-publishing can take you down what might be considered a more grass-roots path. One might self-publish and sell their work at a local community fair. Two popular Sydney markets are the Bondi Markets (every Sunday from 10am–4pm) and the Glebe Markets (every Saturday from 10am–4pm), while garage sales are another outlet for poetry self-publishers. Collaborate with friends or go solo selling used items and keep a table with your work available for free or for purchase (that’s up to you). As with all writing, keep your expectations in terms of profit and revenue gain realistic. 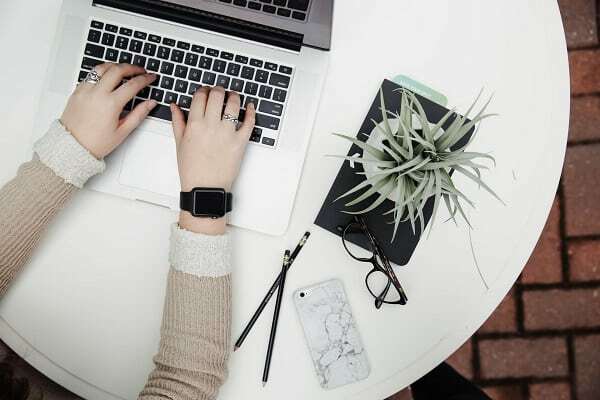 Indeed, some people gain stardom and success from self-publishing and do make money; however, one should be prepared to spend the time and effort necessary to push and hustle their work to as many people and places as they can if they hope to succeed. Poets, we wish you all the best of luck on your publication journey!